Rain gutters are an essential part of protecting your home from water damage and maintaining its property value. Why then would you choose an inferior product? It simply doesn’t make sense! That’s why many Des Moines homeowners turn to Home Solutions of Iowa. We offer top-of-the-line gutters at affordable prices that are installed by highly trained professionals and backed by industry-leading warranties. With our broad network of satisfied customers, it’s no wonder that we’ve received a plethora of industry accolades and an A+ rating with the Better Business Bureau. These amazing gutters have a built-in protection system that filters out leaves and other debris. That means manually cleaning your gutters will become a thing of the past. 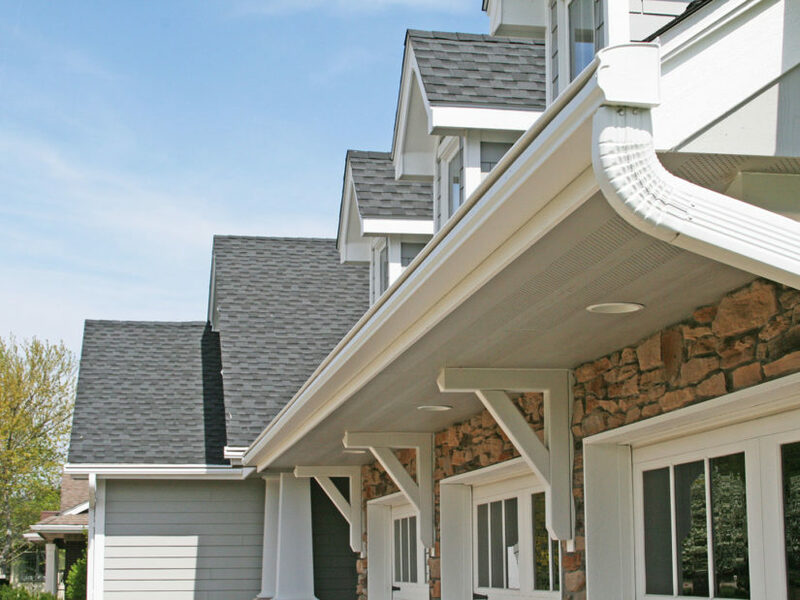 Plus, unlike other aftermarket gutter covers, our gutter system won’t stick out like a bulky eyesore and diminish the curb appeal of your home. What’s more, they come with a ScratchGuard® paint finish that is guaranteed not to peel, crack, or scratch for as long as you own your home. 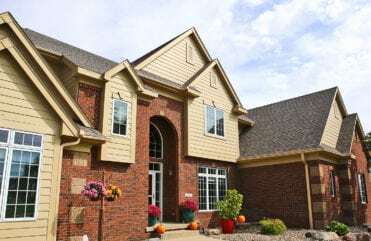 For Des Moines homeowners that live in an area where falling leaves aren’t as much of a problem, we offer our RainPro® seamless rain gutters. 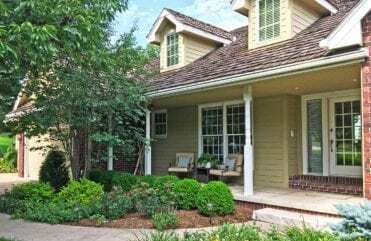 You can be sure that these uncovered gutters will look great on your home since they have the low profile of 5-inch gutters but with the performance capabilities of 6-inch gutters to handle those heavy rainfalls. They even come with the same durable ScratchGuard® finish as well. 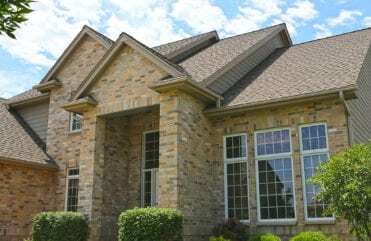 To learn more about our rain gutters and what makes them so great, contact Home Solutions of Iowa today. We would be delighted to set up a free consultation at your Des Moines area home. I am so glad I decided to go with LeafGuard® Gutters on my house! - Eugene P.
I love them so much because my dear husband doesn’t have to get up onto the ladder and I don’t have to worry about him falling off, plus they are so efficient! - Emmitt & Mary L.
This was my last project I needed to get done, and I am glad I went with LeafGuard® they all did a great job. - Ed M.
I am so very pleased with my gutters and the work of the men who installed them. They were extremely nice, thorough, and did a fantastic job! - Delores W.